Image: (L) AMERICAN EXPERIENCE “The Boys of ‘36” The University of Washington’s varsity crew in June 1936. © Corbis. (R) THE WHITE HOUSE: INSIDE STORY. © Partisan Pictures. ARLINGTON, VA; April 28, 2016 – The PBS summer schedule offers comprehensive election coverage, as well as specially themed programs around the 31st Olympiad in August 2016. Anchored by live broadcasts of the Republican (July 18-21) and Democratic (July 25-28) National Convention activities, election-themed programs include an encore presentation of six films from the AMERICAN EXPERIENCE award-winning collection “The Presidents,” August 8-18, and a fresh documentary on America’s most prominent address and historic landmark, THE WHITE HOUSE: INSIDE STORY (view clip), on July 12. The recently announced issues-and-social-media-driven weekly series POINT TAKEN, hosted by Carlos Watson (premiered April 5), and an Olympic underdog story in AMERICAN EXPERIENCE “The Boys of ’36,” on August 2, round out additional summer features (view clip). Summer on PBS also brings the premiere of new Sunday dramas, including new episodes of MASTERPIECE favorites “Endeavour, Season Three” on June 19 and Oxford drama “Inspector Lewis, The Final Season” on August 7. The crime series THE TUNNEL(view clip), from the makers of “The Bridge,” involves intrigue and mystery when a body is found in the Channel Tunnel between England and France, and premieres June 19; the BBC production DANCING ON THE EDGE follows a black jazz band in 1930s London and premieres June 26. The hit series VICIOUS, a comedy with two extremely dramatic leads in Derek Jacobi and Ian McKellen, returns with a one-night, series finale special on Sunday, June 19. New, engaging and accessible science programs provide in-depth insights into the greatest scientific minds in GENIUS BY STEPHEN HAWKING (view clip). The six-part series, hosted by Hawking, debuts with back-to-back episodes May 18 and demonstrates how ordinary people around the world can grasp history’s greatest scientific discoveries through a series of large-scale experiments and remarkable demonstrations. On June 22, the conservation-focused special THE GREAT POLAR BEAR FEAST (view clip) examines the impact of environmental change on polar bears and their cubs. The three-part natural history series SUPERNATURE – WILD FLYERS (view clip), a co-production with the BBC, focuses on animals – from the quirky leapers to the extraordinary gliders – that push the laws of physics and live airborne, starting June 29. Also a co-production with BBC is the documentary film KOKO THE GORILLA WHO TALKS(view clip), premiering August 3, features footage from four decades and examines the relationship between American psychologist Penny Patterson and the gorilla Koko. Back this summer is the NATIONAL MEMORIAL DAY CONCERT, live on May 29, and the popular Independence Day celebration A CAPITOL FOURTH on July 4 (performers to be announced). The worldwide attention focused on the 2016 Rio Olympics offers viewers a chance to reflect on the history of that international institution with specials that show different sides of the Olympics story. On August 2, two programs examine the 1936 Summer Games in Berlin, and it’s impact on modern-day Olympics. 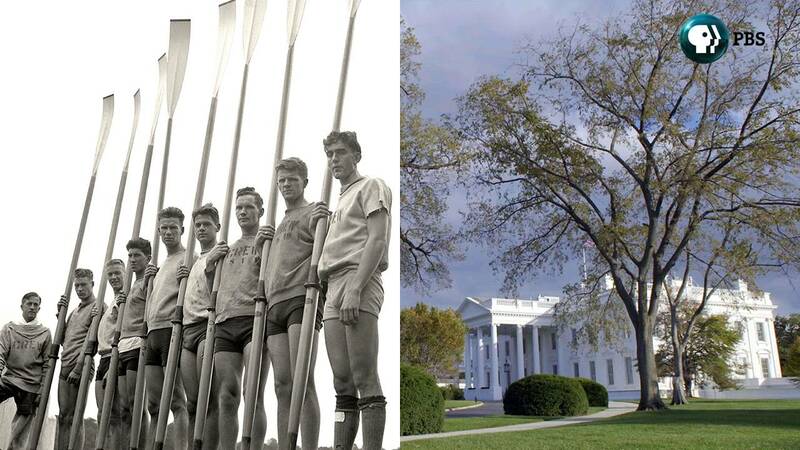 The first is NAZI GAMES – BERLIN 1936 and then, from AMERICAN EXPERIENCE, “The Boys of ’36,” about the American rowing team that triumped at the 1936 games. The INDEPENDENT LENS documentary “T-Rex Her Fight for Gold” introduces 17-year old boxer Claressa “T-Rex” Shields and recounts her rise from Flint, Michigan, to the first gold medal podium for women’s boxing at the 2012 London Olympics. To support the variety of shows debuting in the PBS summer schedule, including THE WHITE HOUSE: INSIDE STORY, THE GREEKS and GENEOLOGY ROADSHOW, PBS LearningMedia will add new lesson plans, essays, and classroom activities to its collection of over 120,000 educational resources, accessible to teachers, students and home-schooling families nationwide. In addition, as part of the overarching PBS Election 2016 initiative, PBS LearningMedia will continue to curate new content within ELECTION CENTRAL, an online destination of election-related resources and information to teach K-12 students about the political process.